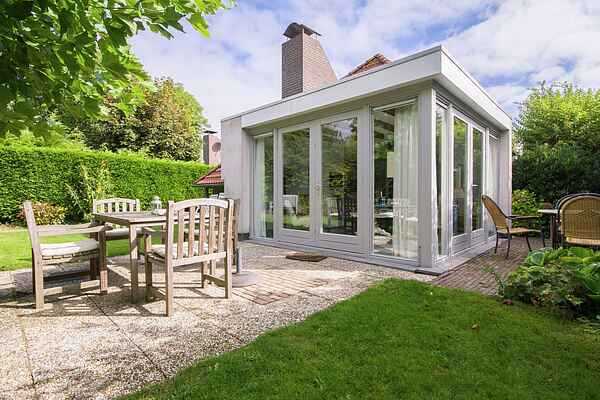 Lovely holiday home in a park on Lake Grevelingen. Lake Grevelingen, which has a small sandy beach, is within walking distance. This is the cleanest saltwater lake in Europe. In the immediate vicinity you will find a playing field, a washroom, restaurants and a supermarket. It makes an ideal base for anyone who loves hiking, cycling and water sports. If you really want to head to the sea: the picturesque little village of Ouddorp is a 15-minute drive away and has great sandy beaches; the well-known beach resort of Renesse is 20 kilometres from there. It makes a great base for visiting cities such as Rotterdam, Antwerp and The Hague. Herkingen itself has a lovely marina, where you can also go for a tasty meal or snack. In Middelharnis there is a long dike where you will find great shopping. It’s also nice to stroll through the old village centre or visit the former Rien Poortvliet museum. And be sure to visit the Delta Works as well.